We have stopped our car and ostriches are circling us. They are knocking on the windshield with very awaiting looks on their faces. Their beaks look quite intimidating and they are staring us. Can they crack our car window? They seem to be expecting some food, but we don’t have anything to give them … so we decide to take selfies with them instead. We were on our way from Torre Santa Sabina to Alberobello when we saw a Zoosafari Fasano sign. The sign itself didn’t give away much- there were only a name “Zoosafari” and distance. But it caught our attention. We couldn’t find much information from the Internet, but enough to be interested. We had never been in this kind of zoo. Ticket costs 25€ for adult and 21€ for children and will include also a visit to a regular zoo, to monkey ride and to a tropical house, but it still seemed to be a lot. But it really was worth it! 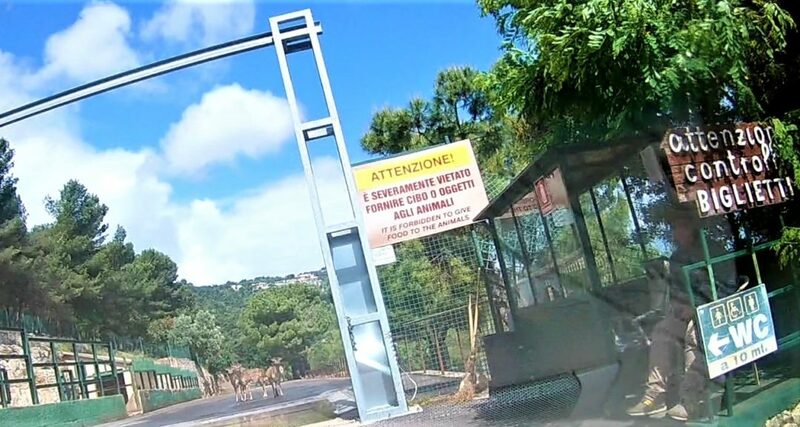 It is a quite unique experience- basically, you will drive through the zoo with your own car. 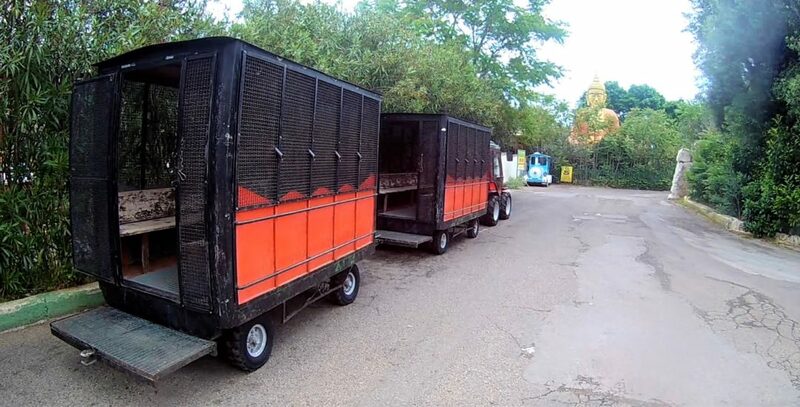 The whole zoo is separated into two main parts. The safari section for driving and regular zoo. Safari part was a really cool and up-close experience. Animals there looked friendly, happy, playful and very used to the vehicles passing by. They came close and were very interested in us. Ok- not exactly us. They probably expected to get some food. Animals are separated with fences between different areas. Lions, tigers, and bears have their own dedicated areas where it is forbidden to open a window. But to be honest- it even didn’t came to our minds to open car windows in the lion cage. Double gates are between those areas which are manually operated. You have to drive through the first gate and wait until that closes. After that man in the booth opens the next one and you can move on. All other animals are kept less strictly separated. Must be based on which ones get along each other naturally. Basically, they live freely – so don’t be surprised if you will find goats sleeping on the road or an ostrich knocking to the window. You can let down your window and pet the animals if you want. 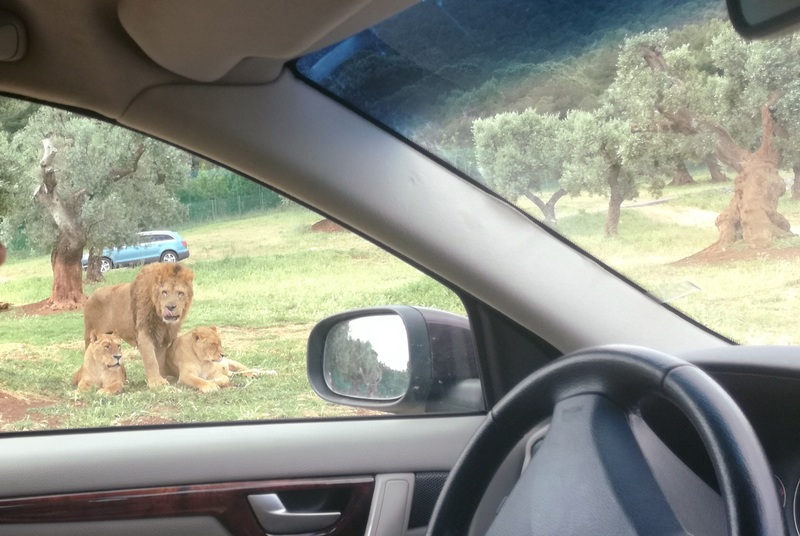 We hoped to see lions up close and around the car, but unfortunately, they were relaxing on the grass. Far away from the road and not interested of us, which was a pity. They were just watching us from the distance. Same with bears and tigers. We caught them after feeding probably. After you will finish with the safari part, you can park your car outside of the park and go visit the pedestrian zoo. We used the parking lot on the left after exiting safari. Parking did cost around 3€ in 2018. The regular zoo is also separated into different areas and it also features a theme park which altogether makes up “Fasanolandia” park. Some of the examples are monkeys cage, tropical house, dolphinarium and the lake for the large mammals like sea lions. They also provide dolphins, penguins and sea lions shows for visitors at various times each day. This is at extra cost. 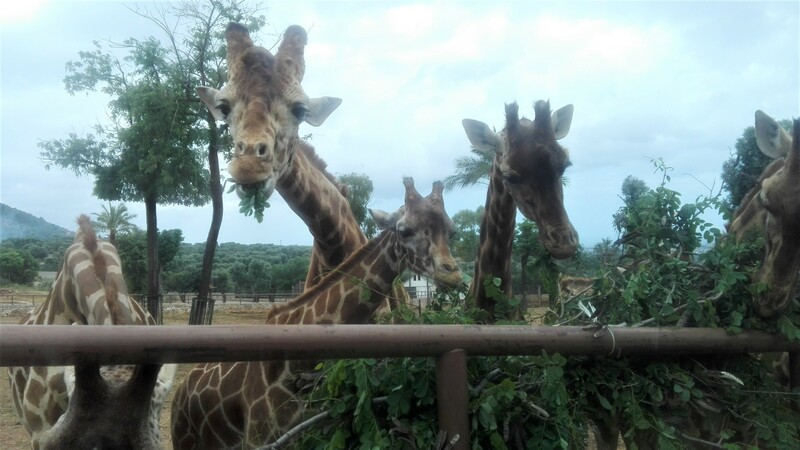 In Zoosafari Fasano you can swap position with animals. You have the possibility to go inside of the monkey cage- but for that, you have to get on to the train and into the cage. This was a really unique experience- some monkeys were riding with us on the top of the train and checking us out through the metal grid. Others were just having their normal life- grooming, eating or taking care of the babies. We had many questions before going to the zoo safari. It was not quite clear for us how the exact visit will look like, is there a time limit for driving etc. Here are some of the questions answered. Is there room to let other drivers pass you? Yes. The roads are quite wide so you don’t have to worry about that. Driving is done in one direction – no oncoming traffic either. Even a tour bus was able to pass us. After we saw how this tour bus rushed through the safari, we were glad that we were there with our own car. It left us the liberty to decide how much time we wanted to spend looking at the specific animals. Bus variant must be pretty boring for visitor. How fast I have to drive through the zoo safari? There is no strict time limit so you don’t have to rush through the zoo. Also, there is no speed limit nor time restrictions as we did understand. But the recommended maximum time was about 90 minutes. 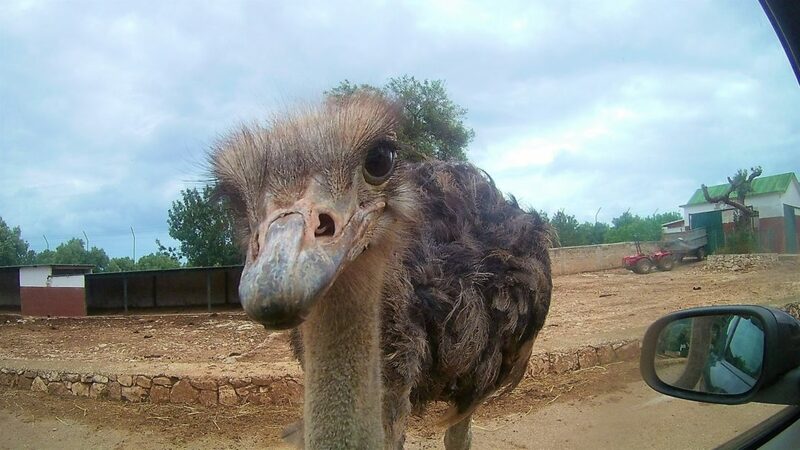 It’s plenty of time to look at the animals and take the selfies. We were totally able to keep our own pace and take as long as we wanted. 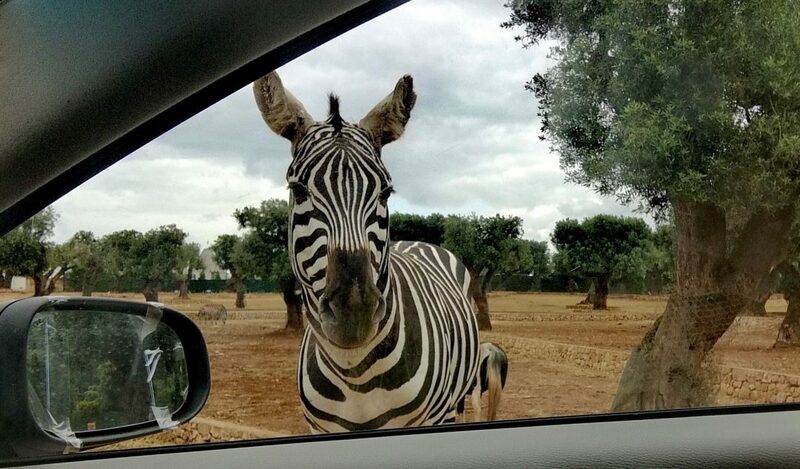 Since we visited Zoosafari Fasano in the middle of the week in April, there were not many other cars around. When we looked this place up in google maps we saw that it can be worse. But same time you can see some cars and buses passing the row. Google maps link here. How can I get a ticket? Should we park our car first or should we drive directly to the ticket office? You can drive directly to the ticket office at the main entrance, purchase your ticket, and then drive directly to the safari. After you have finished the safari road, you can park your car, and walk to the pedestrian zoo. A parking lot will cost 3€ and it has a nice shadow on the top. Obviously, animals are used to get snacks from visitors since they gather around cars. We wonder if people would not give them food- would the experience actually be less attractive and animals would not come close? At the first gate, there was a sign that states that it’s forbidden to give food to the animals. Our overall experience was great and we were pleased. It might be due to it’s our first time visiting such zoo. Janar usually doesn’t like zoos because of animals seem to be not happy in them. It’s not the case in Zoosafari Fasano- especially in safari part. We would totally recommend visiting this- although it could get pretty pricey for families. 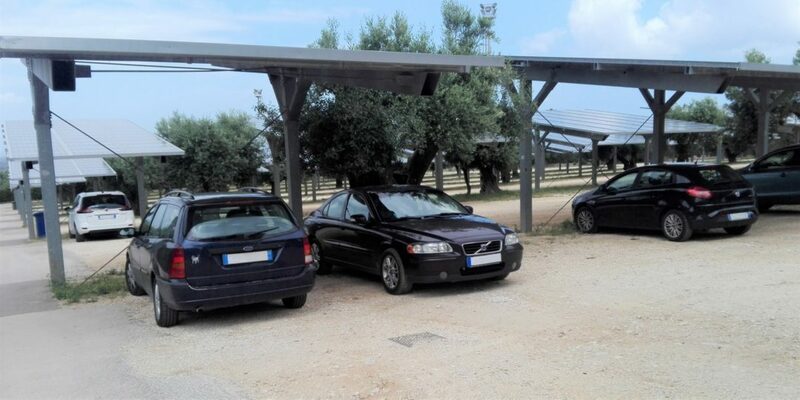 PS: If you are looking for a place where to have lunch and you wouldn’t mind driving a few kilometers, then we would recommend Ristorante La Grande Quercia. 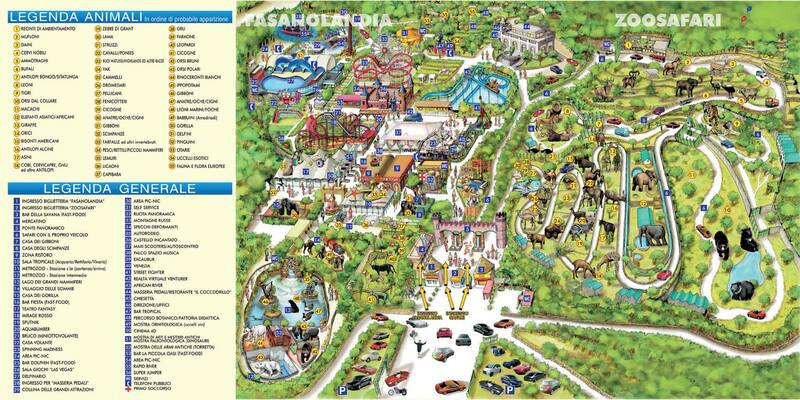 It is 4 km (10 minutes) drive from Zoosafari Fasano. We read some really good reviews about their pizza, but unfortunately, they are serving pizzas only in the evenings. But the pasta we tried was also really good! And the best part is, that it seemed to be a real authentic Italian restaurant where also the locals will eat.